It’s that I’ve-had-enough-of-this time of year when the holidays are long over, it’s still freezing outside, and winter madness is starting to set in. As we (well, some of us) shiver for the fourth month in a row with no warm weather in sight, the questions begin to arise: Will spring ever be sprung? Will it ever be time to retire my down jacket? What should I drink to power through this long stretch of winter? “Wine definitely has an emotional component to it,” says Ryan Arnold, Sommelier and Partner at No Fine Print. “There’s a seasonality to what we drink, especially in America where our dining is less structured. Weather, mood, and food all influence what we gravitate towards drinking throughout the year.” And with winter’s lack of sunshine, we crave wine’s comforting, multi-scentual experience -- taste, smell, color, the sound of popping bottles, and all the feels that come along with sipping." From enveloping reds to multitasking whites and a few deliciously optimistic bottles (and cans!) in between, the forecast looks bright -- cancel your plans and hunker down with these eight wines to get you through the winter doldrums. Why fight winter weight gain when you can instead pair your favorite comfort foods with delicious Rioja wine? 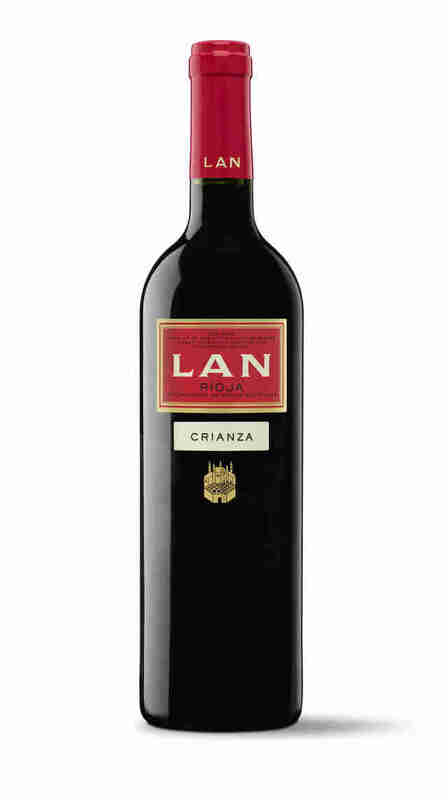 This Tempranillo (95%) and Mazuelo (5%) blend was aged for 14 months in American-French oak hybrid barrels to round out its big flavors of red fruits, cranberry, and hints of vanilla and toffee. It drinks like silk and delivers a long, satisfying finale that’s structured enough to stand up to pasta, pizza, and steak. Native to the high altitudes of northern Italy’s Trentino region, Trentodoc wines are made exclusively using the Traditional Method and are renowned for their fresh flavors, notable fragrances, and slightly fuller bodies -- perfect for wintertime toasts by the fireplace. This bubbly is no exception: It’s made with 100% Chardonnay (one of the region’s two top varietals) and presents a complex structure with scents of citrus, white flowers, cotton candy, and puff pastry. 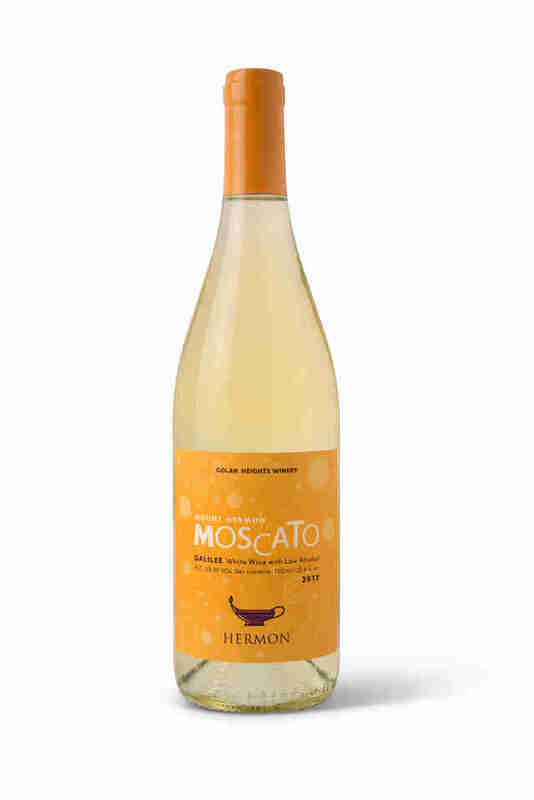 Every sip is vibrant and creamy, so you can close out the season with a smooth finish that lingers on into spring. Cabernet is a wintertime imbibing staple, with its fuller body, noticeable tannins, and bold red fruit flavors making you feel cozy and satisfied. With this California bottle, Cabernet Sauvignon grapes joins forces with Syrah (10%) and Petite Sirah (10%), which help deliver a rounded-out mouth feel and deep, red hue. It has the big body of a cabernet without being too heavy -- perfect for crushing several glasses while you thaw out from the chilly day or chow down on Crock-Pot beef stew. Note: this wine is the brainchild of two music business big shots and a sommelier (Ryan Arnold, in fact), so popping a bottle demands a solid playlist. During the ho-hums of winter, your typical light pinot grigio won’t do -- but this one from northeast Italy is richer than most and is named for its coppery -- or “ramato” -- color, which comes from leaving the must (aka, young, freshly crushed grape juice) in contact with the skins for 24 hours. The resulting wine boasts a complexly, fruity bouquet (white peach, cantaloupe, blackberry, cherry) and a weighty palate, with pleasing acidity and a long red-fruit finish that will keep you way warmer than any gluggable poolside white. Sure, winter sports are fun -- but the real reason you’re Airbnb-ing that cabin in Vermont is for the aprés ski (read: copious drinking) and there is no shame in that. 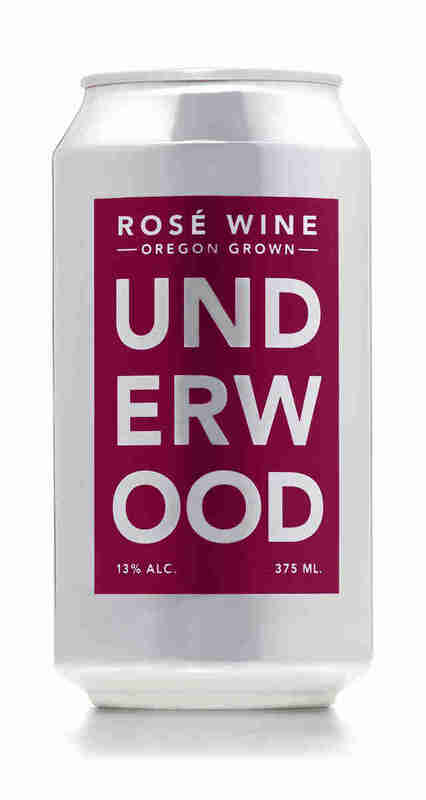 Step up your post-powder-shredding party with 375ml cans of Oregon-made rosé (that’s two glasses of wine, BTW), which are ready to drink when you are. 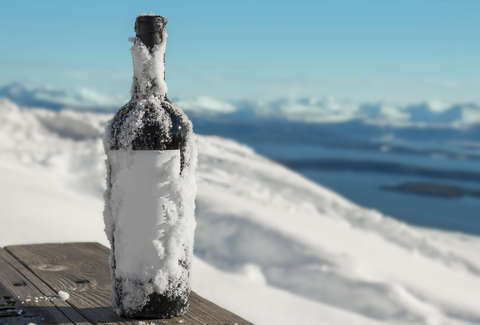 Conveniently versatile packaging means bringing wine in the hot tub with you, or slipping a can in the pocket of your parka in case you get thirsty on the snow-shoeing trails. Ah, cuffing season -- time step up your hibernation game, Netflix-and-chill as much as possible, and select a wine that can stand up to all that Chinese takeout you ordered on GrubHub. Chablis is a cool-climate white wine made with 100% Chardonnay grapes, frontloading your palate with bright acidity and freshness. While Chablis is most often chosen to accompany shellfish and oysters, its mineral character can also work to cut through spicy Asian dishes like hot-and-sour soup and Sichuan chili. If bibimbap is on the menu, a glass of Chablis can help to enhance the dish’s umami-ness. Instead of whining about the cold, wine about the cold with something sweet. This semi-sparkling dessert vino hails from the Golan Heights, Israel’s coldest region -- proof that sometimes chilly weather brings about great things! Made entirely with saccharine Muscat Canelli grapes, this wine boasts an aromatic mix of citrus, pear, and tropical fruit characters, layered with floral and spice notes to add depth. The juice is young and best enjoyed within 18 months of vintage -- so drink it now paired with lemon-almond biscotti, a second slice of cherry pie, and everything else your sweet tooth craves. Brooke Sager is a contributing writer for Thrillist who doesn’t even want spring to come -- then she’ll have to come up with an excuse as to why she’s still cancelling plans and drinking wine in her onesie. Don’t you want to follow her on Instagram and Twitter now?